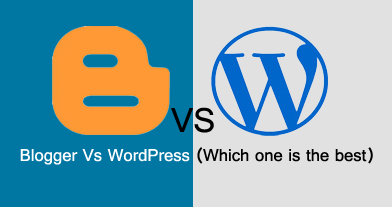 if you are confuse to choice what blogging platform you are select to start your website/blog. (WordPress & Blogger) are main platform in internet world. so lets judge which one is Good for blogging. i just measure "Blogger and WordPress" is my personal experience. and i make (Features Chart) Below. To see above chart, i suggest and recommend (Blogger). if you are new to use blogging, you will choose Blogger, because blogger are Good and easy to use. and i also use Blogger Platform. Blogger are best those who will not afford costly hosting. blogger is always provide you free hosting, Temples, with Customize with Google Webmaster Tools and Google Analytic. So lets (Start) and see how to create you 1st blog, at blogger platform.